Energy player Sembcorp Industries and logistics provider YCH Group said on Friday that the installation of a 2.8 megawatt-peak rooftop solar farm has been completed. Keppel Corp. said on Friday that it finalized and entered into a rig construction contract with Awilco to build another mid-water semisubmersible drilling rig for harsh environment use. Earlier this month, Keppel had announced the US$425 million order. 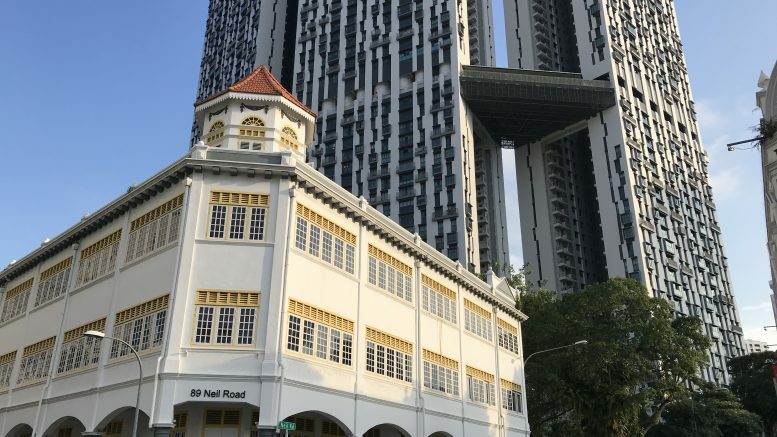 Keppel Infrastructure Trust said on Friday that it will issue 680.27 million placement units on 25 March at S$0.441 each, with listing and trading on SGX expected to begin the same day. Keppel Infrastructure Holdings Pte. Ltd. (KIHPL) has subscribed for 123.81 million of the placement units, and after their issue, it will have an 18.2 percent stake in the trust, Keppel Infrastructure Trust said in a filing to SGX after the market close on Friday. CSE Global said on Friday that its indirect wholly owned subsidiary CSE Crosscom entered a deal to acquire Australia-based RCS Telecommunications from eight shareholders for A$11.64 million, or around S$11.26 million. RCS is mainly engaged in communications networking and two-way radio systems design and implementation, CSE Global said in a filing to SGX after the market close on Friday. Read more about CSE Global. Sabana Shari’ah Compliant Industrial REIT said on Saturday that Kim Soon Lee (Lim) Heavy Transport did not receive approval from JTC to acquire the property at 1 Tuas Avenue 4 from the REIT. The intended buyer doesn’t intend to extend the purchase agreement, the REIT said in a filing to SGX on Saturday. Procurri Corp. said on Saturday that Soh Chooi Lai had ceased to be a substantial shareholder, with his stake falling below the 5 percent threshold, after he disposed of 37 million shares at S$0.33 a share in an off-market transaction. Soh had acquired a 13.5 percent Procurri stake in January. After the deal, his direct interest fell to 0.51 percent from 13.51 percent, it said in a filing to SGX on Saturday. In addition, DeClout further pared its Procurri stake, disposing of 36.32 million shares for S$11.99 million in an off-market transaction, it said in a separate filing to SGX. That brought DeClout’s direct interest to 16.86 percent, down from 29.62 percent. Read more about Procurri and DeClout. Ho Bee Land said on Friday its wholly owned subsidiary Accordion Investments has acquired a total 12.66 million shares of Australia-listed Villa World, or a 10.11 percent stake, via open-market purchases, the property company said in a filing to SGX on Friday. Read more about Ho Bee Land. Aspial said on Friday that it has repurchased S$3.75 million in notes under its proposal to buy back up to S$20 million of its 5.05 percent notes due 2019, which were issued as series 003 under the company’s S$700 million multicurrency debt program. Ornamental fish breeder Qian Hu said on Friday it entered a deal to acquire Guangzhou Qian Hu Aquarium and Pets Accessories Manufacturing, or GZQH, for S$13,500 or US$10,000, from Liow Soon Kian. MindChamps PreSchool said on Friday that it entered a deal to purchase all MindChamps PreSchool @ Punggol Northshore from Chen Han for S$3.79 million. The acquisition will be funded by a combination of cash from MindChamps IPO proceeds and an acquisition loan, it said in a filing to SGX on Friday. Jiutian Chemical Group said on Friday it tapped Han Lianguo as non-executive and non-independent chairman of the company, replacing Wang Yiming who reigned, effective Friday. Han is currently the chairman of Anyang Chemical Industry Group, or Anhua, which is Jiutian Chemical’s controlling shareholder, the company said in a filing to SGX after the market close on Friday. Wang, who had been appointed to his position in February 2018, will assume another senior position within Henan Energy and Chemical Industry Group, or HNEC, the controlling shareholder of Anhua, the filing said. Read more about Jiutian Chemical. Chinese company Sino Grandness Food Industry Group will place 170 million new shares with JW Capital Group at 4 Singapore cents per share to raise S$6.8 million. The issue price represents a discount of 6.98% to the volume weighted average price of S$0.043 for trades done on Friday, Sino Grandness said in a filing on Monday. The new shares will amount to 17.36% of Sino Grandness’s issued share capital. The money raised will be used to repay outstanding sums due to a company called Soleado Holdings as well as to strengthen Sino Grandness’s working capital. Sino Grandness, which is headquartered in Shenzhen, produces juices as well as canned fruits and vegetables.